Mention, link and thank the blog who nominated you. 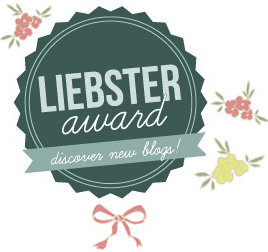 Nominate bloggers with little followings (under 200) and link them below. Create 11 questions of your own for your nominated blogs to answer. Notify your nominees via social media. Let’s go with *drumroll* Lord of the Rings! We are going to pretend like they are one movie, because please, please don’t make us choose one! Well, we kinda answered that in the last question, but since we’ve already been to New Zealand… Everywhere? Is that an acceptable answer? Probably not… But there’s not really a right answer to this question. It would be much easier to ask where we wouldn’t want to go – that list is much shorter. 4. What is one thing you want to do before you die? BUT both answers go for the both of us. We just took advantage of the fact that there’s two of us, so we could give two answers. 5. If you could change your name, what would it be and why? That’s the great thing about writing, because you can just b anyone you want, and change your name into anything you want. But actually changing it is a whole different story… We both like our names, so none of us would think about changing it. But let’s say we wanted to publish something under a pen-name or something, mine would be Emily – I can’t really tell you why I like that name so much, I just really do (Sam). I’d use Lucy, because I love the character Lucy in Narnia so much (Frodo). 6. What is your favorite activity? Everything fangirling-related, because thank God that includes travelling, and writing (Frodo) – but also just writing for the fun of it, because I’m no good at fanfictions (Sam). 7. If you could have any job, what would it be and why? 8. If you could meet anyone, past or present, who would it be and why? Jared Padalecki, obviously, for both of us, but we kinda already did, so we’re gonna go a bit further. 9. What is something about you that people are often surprised to learn? 10. What is your favorite television show and with which character do you feel the strongest connection? 11. How many pillows do you like to sleep with? 1. If you could meet one fictional character, who would it be and why? 3. What’s your favorite place in the whole world? 4. If you had 1 Million dollars (or whatever the currency of country is), what would you do with it? 7. What is the stupidest thing you’ve ever done? 8. If you could live in any fictional world or universe, which one would it be and why? 9. If you could change one, and only one, thing about the world, what would it be and why? Thank you for nominating me! 😀 I’ll write the blog as soon as possible.